Today, the promotion of companies on the internet is an integral part of any marketing strategy. Real Estate Brokers and Brooking Firms are not an exception. It usually takes a lot of time to develop a company’s website from scratch, and for this you need to possess special knowledge and skills, or look for professionals in this field. 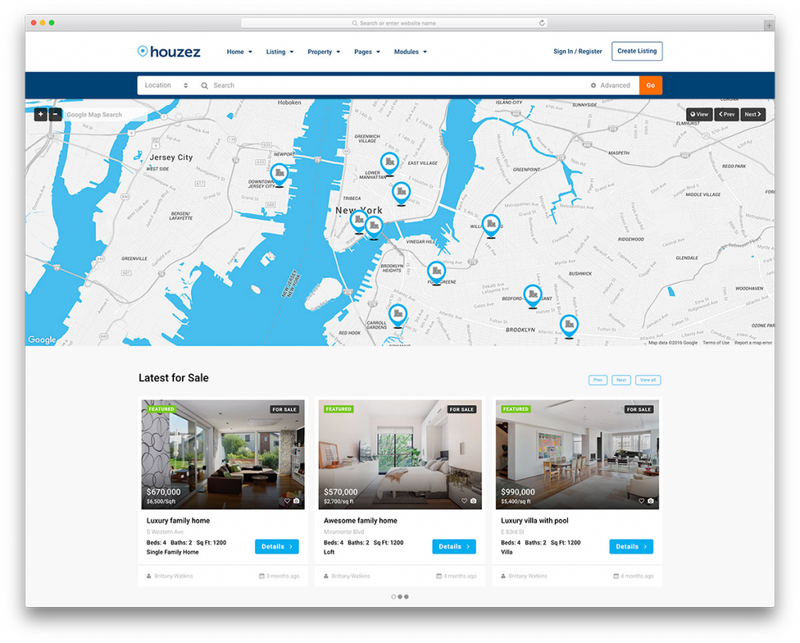 To aid you in your search, here we are listing the 15+ Best Real Estate Broker Website Examples & Templates to make your job simple and easy. These templates and themes are downloadable, easy to use with printable instructions. 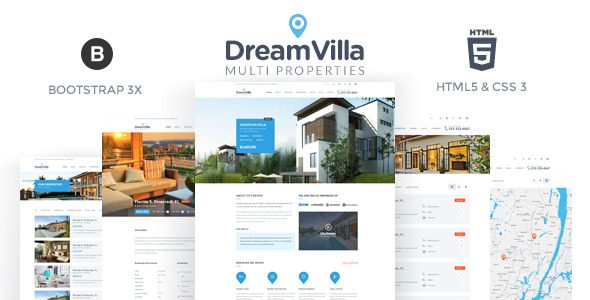 Fresh and clean, modern and functional, versatile and elegant, a cool template using which you make yourself an excellent website for real estate brokerage. Various options are available for the first screen. You can use the slider, map or search bar. Convenient description of housing, with information neatly divided into blocks. The benefits and flexibility of the template are endless. 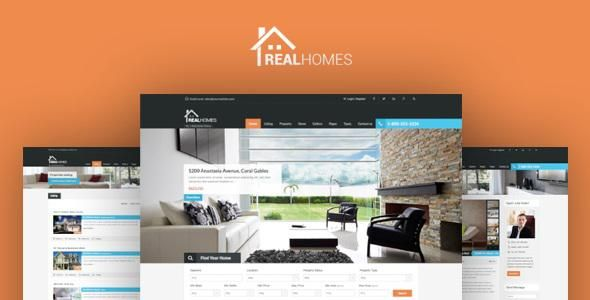 With the Houzez theme you can make a website of any complexity: for a simple one, just install as per the demo, enter your details and the website is ready. For a complex site, you can go about changing all the settings as per your requirement. In this template, the main page is designed as a landing page, which you can customize as you like. To do this, the bonus to the template is a paid visual composer plugin. A very conveniently painted card is a separate version of the house. There is everything you need and done carefully. And, you can customize the display in different versions, you can see them in the description or demo. This is a flexible template, it is possible to install a map with a search on the first screen. Also, the other interesting options are available on demo selection page. It is equipped with 8 color schemes with 15 home page variable options. Various popular fonts are also provided by Google Fonts to make the text look more attractive. Visitors can sign in using their Google or Facebook id as well. It has a clean design with a convenient description of individual housing. 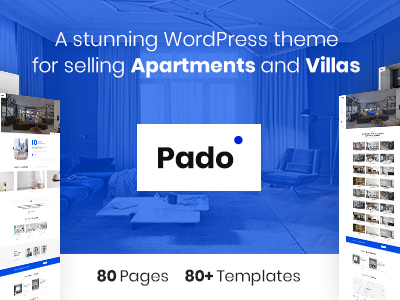 This theme allows users to create their own agency profile and use the invitation system. This template allows you to use Google Map & OpenStreetMap as an interactive map. 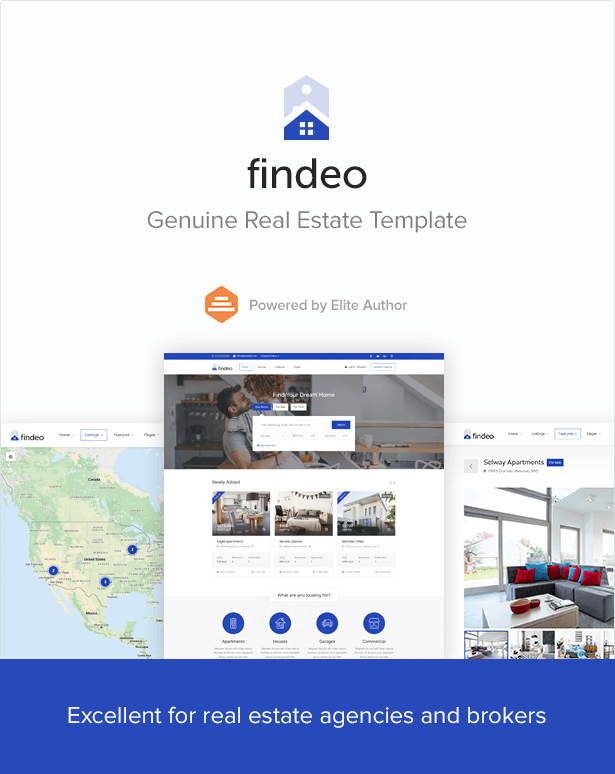 This template is a landing page, a one-page site for real estate. It will suit you, if you present one housing option to show all its advantages. Various color customizations are allowed. You can provide different views of the project in block pictures, at the bottom of the screen for overall estimation in a single look. It has an excellent template, which has been bought by almost 15 thousand people. It has 11 demo options, and each one of those has its own interesting design. For example, compare these two on their site; Rome demo and Rio demo, and you will understand what we are trying to say. This template is definitely worth a look. 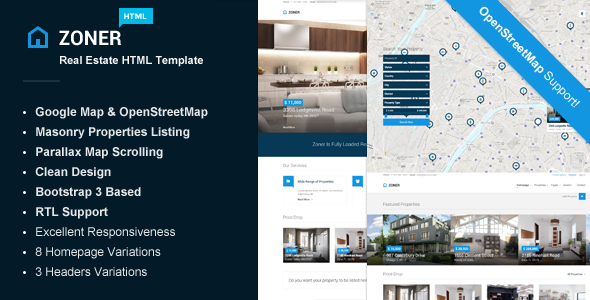 This WordPress template is designed for agents and real estate agencies. Design themes are focused on potential customers. You can easily create a landing page using one of two designers to choose from. A beautiful choice for managing the multimedia functions of galleries, it provides dynamic AJAX categories and search functions, with excellent scrolling and page numbering options. Furthermore, no coding skills are needed to customize the site in order to fit your requirements. 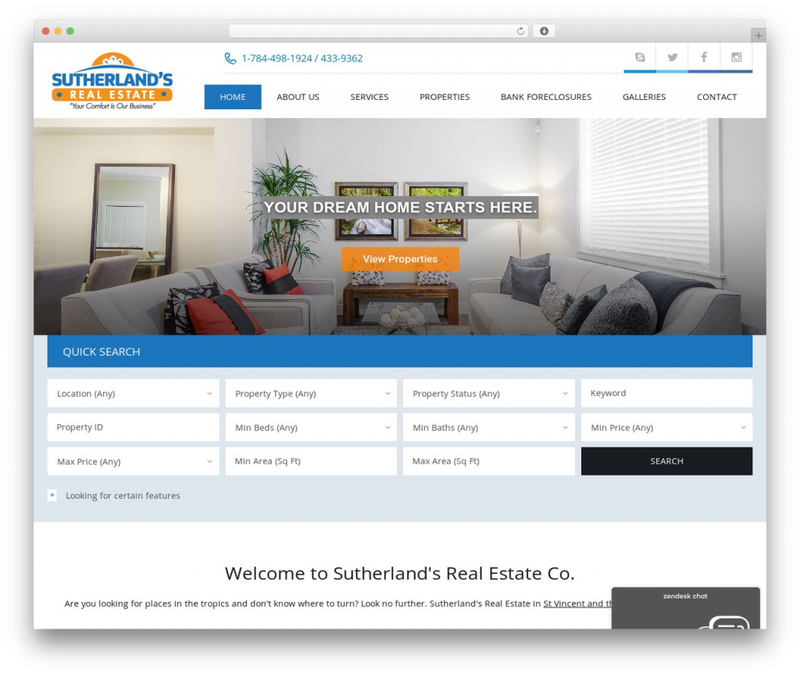 Powerful, elegant preparation for a real estate site includes various features such as 80 finished home samples and 300+ customization options. Also, more than 500 Google fonts are provided for excellent designing. There are a wide array of settings for blogging as well. It has an impressively high download speed and is SEO optimized as well. It has flexible settings at each stage of creating a web resource. This particular template helps you easily visualize any ideas. Also provided are opportunities for sending contact forms. You can use it as a multi-page website, or you can use it as a landing page. The beautiful, bright theme is flexible and has many settings to make the site, perfect. There are 3 different versions of the main page that can be downloaded in just one click. It has a creative option for agencies that work in a premium segment. If you want to stand out among competitors and show your taste, then this template would suit your requirement. The template has two options, dark and light. There, you can make a landing page or a portfolio. 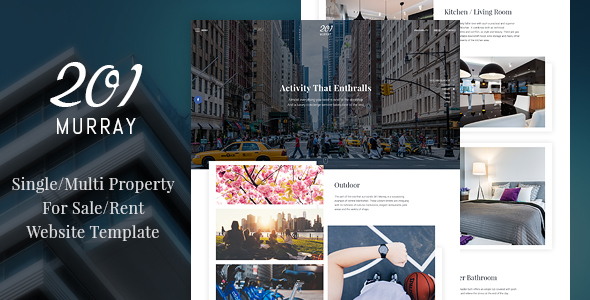 Its a Premium WordPress template with real estate theme, with wide settings of headers, footers, details of designs. There are pre-installed design options. To set up a web resource, coding knowledge is not required, and everything can be done over the website. It can be modeled for a single property detail or for multi-property details as per your convenience and requirement. 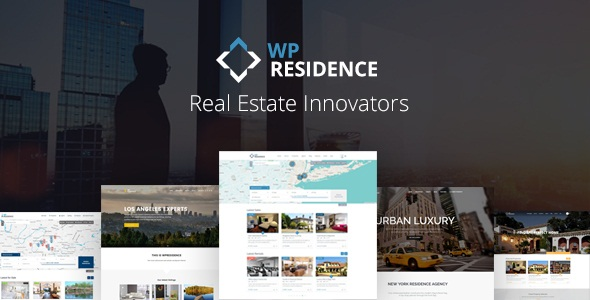 It is a masterfully executed WordPress real estate broker agency template, with thematic design and functionality are important for any niche. Advanced search will help visitors, to find the most suitable residential facilities. The Google Maps interface allows you to mark the desired properties. It is a very popular template with over 18000 customers using it. 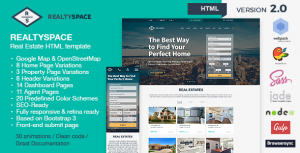 An HTML theme for the real estate portal, it focuses on one of the most important criteria for evaluating projects. Findeo has a built-in drag and drop form designer. It offers functionality for comparing commercial offers, It also has an advanced search and an auto-fill option. 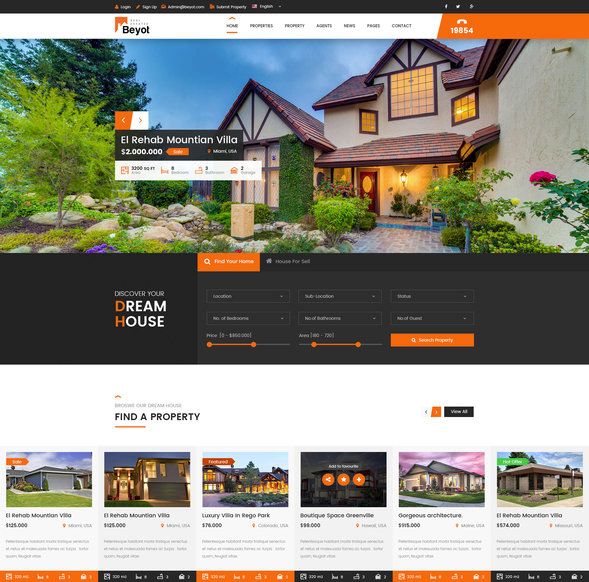 A premium template of a broker realtor or agency website, it fully meets the needs of the real estate business. 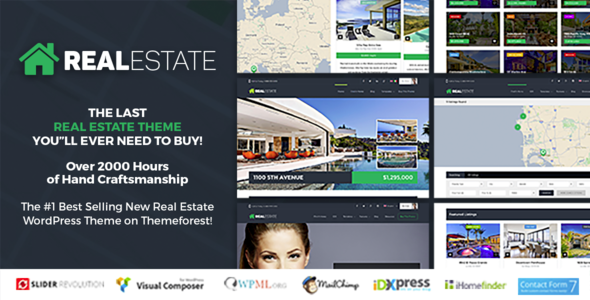 The theme works with the free plug-in Essential Real Estate, which incorporates many premium options. With Beyot, the features available are – a mortgage calculator, a personalized list of objects, a paid and free add to the list of agencies and agents and 3 payment methods. There are 9 professional demos included in the pack. Its a qualitative theme for sites of realtor brokers and property management companies. 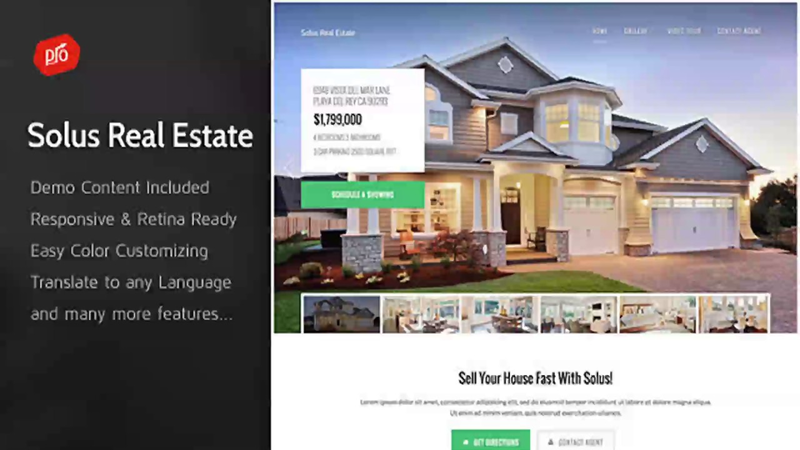 This real estate website template is focused on capturing leads and engaging visitors. Real Estate 7 will be well suited for a commercial service catalog, rental site, landing page. It helps in augmenting commission with its salient features. 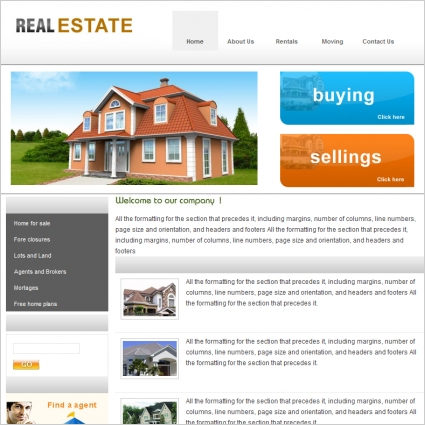 This is a premium template for sale of real estate under the websites of private agencies and realtors. Users of this site will be able to add their ads for free or on a commercial basis. The theme has an advanced search form that uses sliders, drop-down lists and auto-complete. Google Maps is built-in already in the theme and it also provides a blog facility.